TORONTO— When speaking of a championship team, it’s the quarterback that receives most of the accolades. What many often fail to mention is the offensive line. While Doug Flutie has received most of the praise for the Toronto’s two Grey Cup victories back in 1996 and 1997, Mike Kiselak — who anchored an offensive line that led the league with the fewest sacks allowed — should not be overlooked. 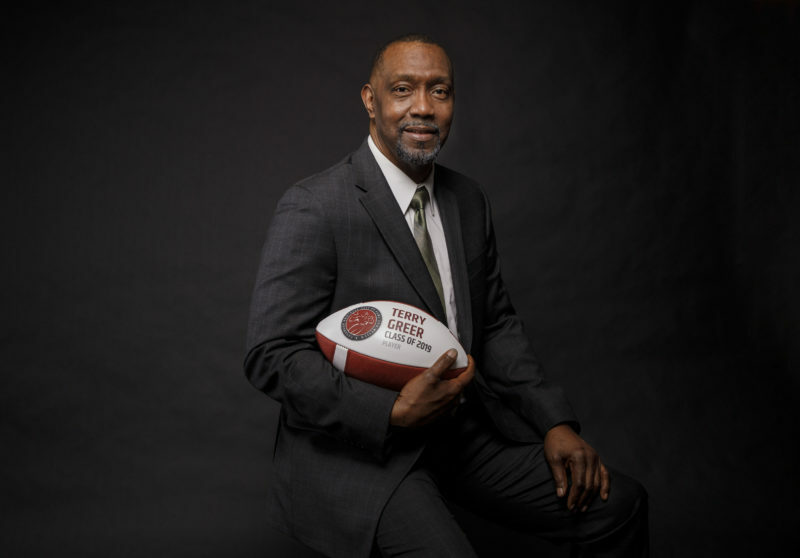 After a brief one year stint with the San Antonio Riders (1991-1992) of the World League of American Football, and a few years with the American expansion teams in the CFL, Kiselak’s career really began to blossom in Toronto. In his two years as a member of the Double Blue, Kiselak earned recognition in almost every category in which a centre could. 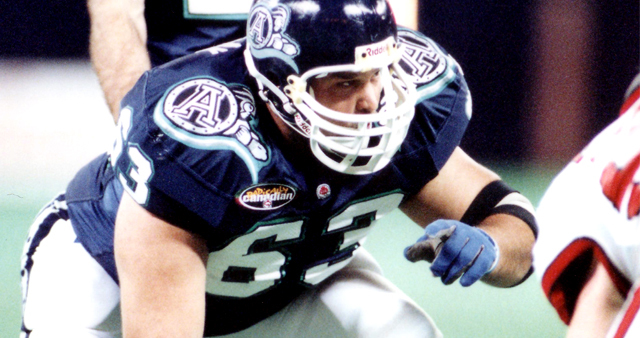 He was an East Division All-Star, CFL All-Star and won the CFL Most Outstanding Offensive Lineman award both years. Aside from his personal accomplishments, Kiselak was also a crucial part of the two championships that he and his club earned, along with the likes of the aforementioned Flutie, Michael ‘Pinball’ Clemons and Robert Drummond. Speaking with argonauts.ca about his two years in Toronto, Kiselak was quick to remember the great memories he shared with fans, players and coaches. While he spent both his years in Toronto protecting a Hall of Fame quarterback, Kiselak also played under a Hall of Fame coach. A coach he spoke very highly of when talking about his time with the Argos. Prior to playing for the Double Blue, Kiselak was signed in 1993 by the Sacramento Gold Miners. After two years in Sacramento, he signed as a free agent with the San Antonio Texans. When the team folded, Kiselak was drafted by Saskatchewan in the CFL Dispersal Draft and later traded to Toronto for OL John Terry before the season started. 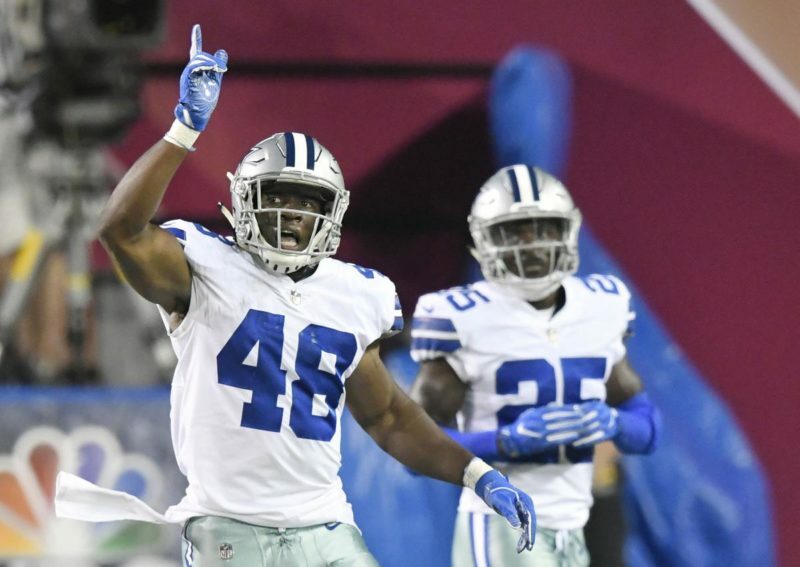 He would go on to play with the Dallas Cowboys of the NFL before retiring from pro football in 2001 when he immediately turned his focus to something else. 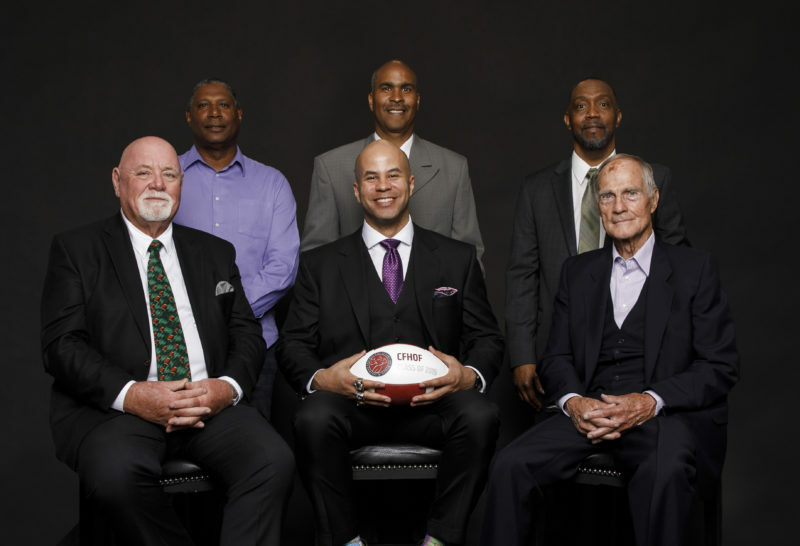 He founded a company called the Sports Business Network which gives athletes the opportunity to network with people in the sports business industry. “It allows athletes the ability to transition from football because life is nothing but transitions,” he said. Keeping true to his motto of constantly being in transition, the former lineman also recently began his own internet radio show called KIS63. The focus of the show isn’t predominantly on him but rather to use his experiences, both on the football field and off of it, to educate and guide current players. His next guest on the show is none other than former Argos WR/KR Raghib ‘Rocket’ Ismail. Ismail and Kiselak never played on the same team but they are extremely close because they both live in Dallas. Kiselak says that he and Ismail, who have three Grey Cup rings between them, find themselves talking about their time north of the border quite a bit. In addition to his company and radio show, Kiselak is also heavily involved with the charitable organization called Kids Matter International. The charity has centres in Honduras, India and Dallas just to name a few. The Dallas location, in which Kiselak is most heavily involved, assists in raising money to provide clothes for underprivileged youth . For every $100 they raise they take a child to a department store. The store partners with the charity and buys clothes at a discount. Known for his talents on the field and remembered as a Grey Cup champion, Kiselak has not only harnessed a successful career for himself off the field but helped other former players do the same. Fans can tune into his radio show by clicking here or follow him on Twitter @Kiselak63.